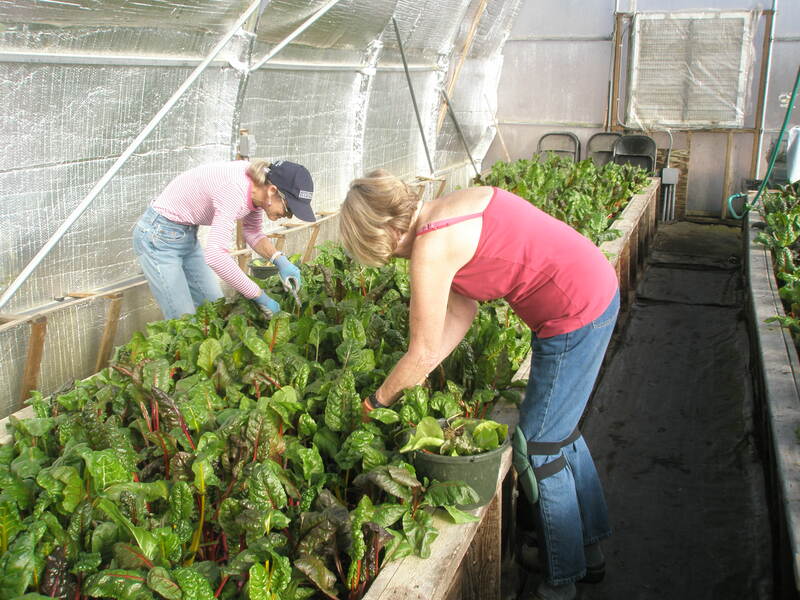 Local volunteers Amy Campbell and Sally Demeter work on beautifying the greenhouse every Tuesday. Their first order of business is to clean up the chard beds by weeding and cutting out unusable leaves. When finished they fan out to prune, pinch and spruce up every plant in the greenhouse. They are a valuable pair all year and we salute them!